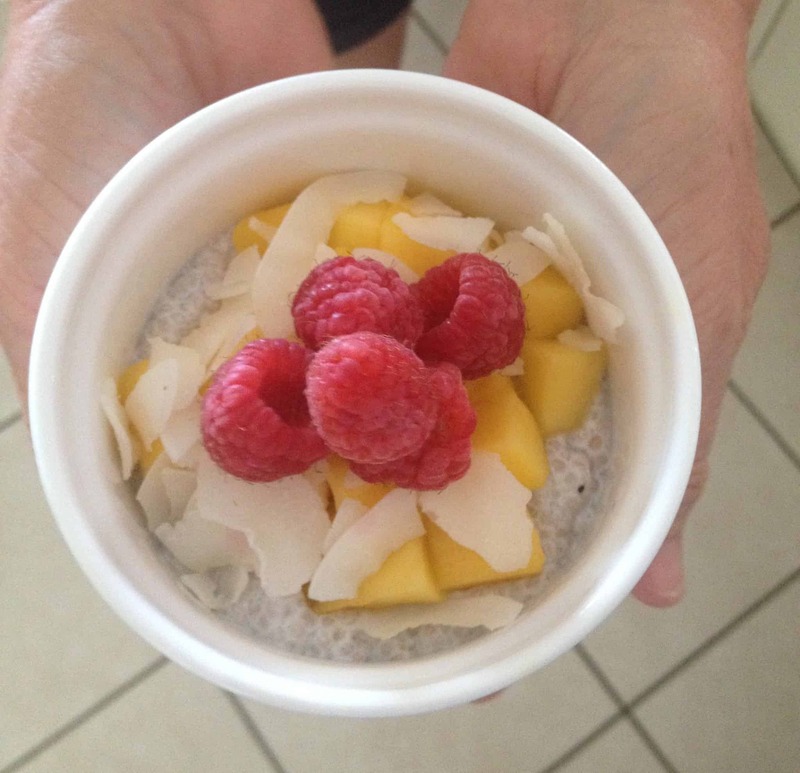 Our good friend Tash Kimlin made these chia puddings when she came around for lunch and they have become a regular low carb staple for us. The good thing about chia seeds for people with diabetes is that the carbs in them are 80% fibre, so the insulin requirement drops right down. Chia seeds are also a great source of omega 3 fatty acids. Even with a small amount of mango and raspberries for taste and additional vitamins there is less than 10g of net carbs and overall it has only 14% insulinogenic calories. To prepare you will mix ingredients together, refrigerate until it sets and add fruit or whatever topping you chose. There are a range of permutations of this recipe online with further preparation details such as this one or this one. You can reduce the carb load by leaving out the fruit if you wanted to bring down the insulin load further, however the change is only marginal. If you are trying to achieve tight blood sugar control I suggest you test before and after having this as some people find that their blood sugars rise with coconut cream. The fibre in the chia may react in some people in different ways and may become more digestible if they are soaked for longer. Bridgette, I have added some more details and links to more details procedures. Hubby’s allergic to chia–can we use flaxseeds instead, and how would that affect the count? I’ve read Flax seeds can be very high in Oestrogen. Is that right? I’ve heard that too. I imagine though it wouldn’t be a concern with flax as part of a well rounded diet. I’d be very interested if you’d post more on this topic at some point.